Welcome to LIFE|STYLE, a new monthly newsletter created to provide Gulick Group clients, realtors, and prospective purchasers with useful information, explore new and emerging style trends and preview Gulick Group’s newest offerings and home designs. LIFE|STYLE is a digital newsletter in the spirit of “Details”, our popular printed piece from the days of postal-only communication. If you’d like to receive LIFE|STYLE monthly, please contact us. If at any point in the future you’re getting too much email or would prefer not to receive future communications from Gulick Group, you can unsubscribe through the option in the footer of the newsletter. We work diligently to keep all of our digital communications useful, interesting, and relevant. When you choose the best options for your home and family, a pool can be an investment that delivers years of enjoyment and helps you get the best use of the outdoor space on your homesite. Many homebuyers view a pool as a “phase two” amenity. That’s an option for many homesites, but installing a pool as you build a home offers several advantages. Once built, your home, lot restrictions, and existing outdoor living spaces may limit pool shape, size, and placement. You may have to install a pool in the shade when you want sun, or relocate an existing feature. Choosing pool decking while you’re building makes it easy to coordinate with design elements such as fencing or stonework. Thinking about a pool when siting your home may change the way you think about your homesite. For instance, you might consider a daylight basement with a slight walkup (rather than a full walk-out). This lets you enjoy the pool view (and see the kids) from the main level, easily access the pool from two levels, and include pool related features in your lower level like a convenient shower/changing area, pool storage, or an exterior walk-up wet bar… rather than building a poolhouse to accommodate those spaces. Pool installation will almost certainly destroy landscaping and the lawn, it can ruin driveways not designed for heavy equipment when the construction trucks haul off dirt, and it may require moving, replacing, or repairing damaged features like decks, walkways, patios, or fencing. By installing a pool while you’re building, you avoid these replacement/repair costs and you can often include the cost of the pool in your mortgage. 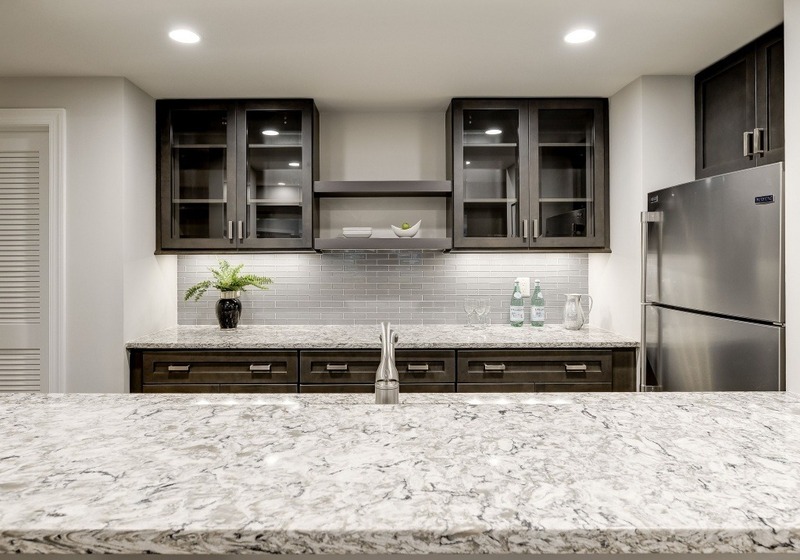 Quartz is rapidly outpacing granite, marble, and other natural stone as the high-end countertop of choice for baths and kitchens. Quartz is engineered from a blend of ground quartz, polyester resin, pigments and other decorative elements (like recycled glass or metallic flakes). It beautifully mimics natural stone for traditional decor, but is available in a wide range of colors and finishes (matte, polished, honed, sandblasted, and even embossed) to suit any taste and style. Nestled among State and National parks, Thompson’s Crossing is a rare gem: a luxurious, tranquil and convenient community. Perfect for horse or boating enthusiasts alike, with a nearby golf course and dining and shopping in Historic Occoquan, the community is a perfect place to build your dream home near your interests. Only on five-acre homesite and one Quick Delivery remain. Our designers are hard at work on a new, custom floorplan for the five-acre site, which we look forward to featuring in LIFE|STYLE in the coming months. 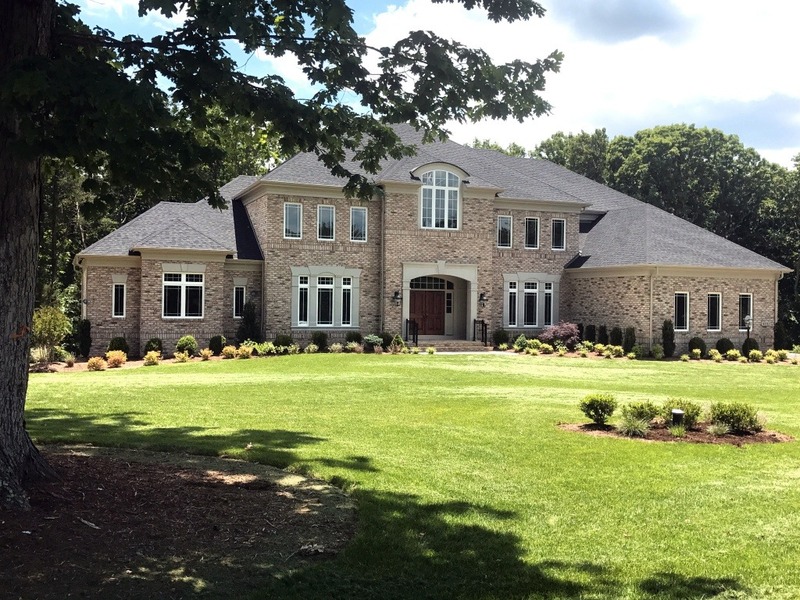 About Gulick Group, Inc.: Established in 1987, Reston-based Gulick Group has developed communities throughout Fairfax and Loudoun Counties, including One Cameron Place and Newport Shores in Reston, The Reserve in McLean, Autumn Wood, Grovemont, and the three Riverbend Communities in Great Falls, Red Cedar West in Leesburg, and Wild Meadow in Ashburn. We'd love to hear from you! If you have a question, or are interested in learning more about our homes or communities, please enter your email address below and we'll get back to you promptly.